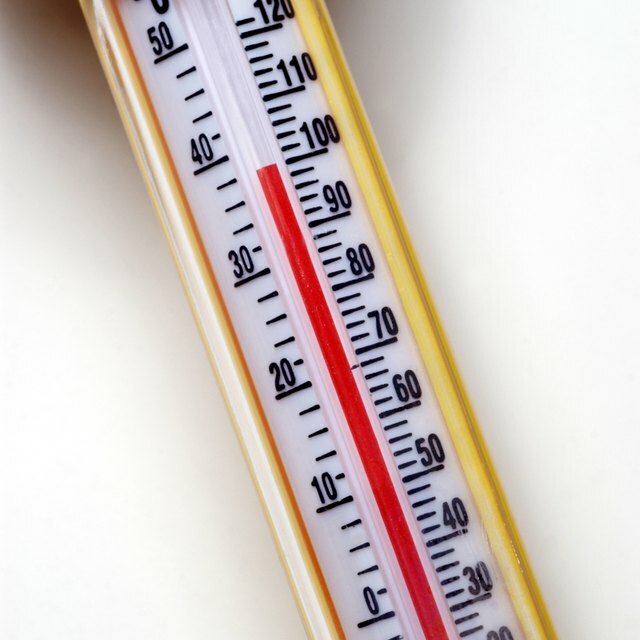 The Fahrenheit and Celsius scales are the two most common temperature scales. However, the two scales use different measurements for the freezing and boiling points of water, and also use different sized degrees. To convert between Celsius and Fahrenheit you use a simple formula that takes this difference into account. Fahrenheit and Celsius both use different temperatures for the freezing and boiling points of water, and also use differently sized degrees. Water freezes at 0 degrees Celsius, and boils at 100 degrees C, while in Fahrenheit, water freezes at 32 degrees F and boils at 212 degrees F. You see that Celsius has 100 degrees between the freezing and boiling point, whereas Fahrenheit has 180 degrees between these two points. One degree Celsius is 1.8 times larger than one degree Fahrenheit. You can also use this formula to convert from Fahrenheit to Celsius. To convert the Fahrenheit temperature, first subtract 32, then divide the result by 1.8. Based on these equations, you can find a temperature where Celsius and Fahrenheit are the same -- at minus 40. Zamboni, Jon. "What Is the Degree Difference Between Celsius vs. Fahrenheit?" Sciencing, https://sciencing.com/degree-between-celsius-vs-fahrenheit-8060500.html. 13 March 2018.